As our bodies age, our attention to such things as hydration and energy levels begin to diminish. The nutritional needs of seniors can easily be overlooked. Quality of life is often associated with the enjoyment of food; therefore, the benefits of any diet should be weighed against the quality of life of the person. Generally speaking, adults need fewer calories, unless they have an exercise regime that burns a lot of calories; a more sedentary life will not burn as many. Maintaining a healthy weight and staying energized also lowers the risk of developing heart disease, diabetes, and other chronic health conditions. 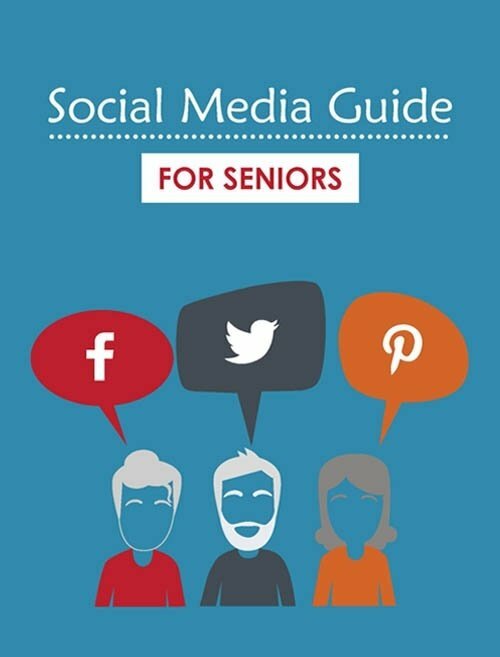 Here are some tips on senior nutrition! Calcium and Vitamin D are 2 essential nutrients that help maintain bone density. Studies show that exposing your hands to sunlight for 15 to 20 minutes a day supplies the daily requirement of Vitamin D. Milk and other dairy products are an excellent source for calcium as well. Vitamin B12 not only keeps the body's nerve and blood cells healthy, but it is also instrumental in preventing megaloblastic anemia that makes people tired and weak. Fiber is one of the most diverse nutrients as it plays many roles. For example, fiber slows the absorption rate of sugar into the bloodstream, keeping your blood glucose levels stable. Soluble fiber helps slow digestion so the body can better absorb vital nutrients from foods. Insoluble fiber helps you stay regular by passing food through the digestive system. Potassium is an important mineral that functions as an electrolyte, helping to regulate nerve signals, fluid balance, and muscle contractions. Low potassium levels cause muscles to feel weak, cramp, twitch, or even become paralyzed, and heart arrhythmia may also develop. Fats and oils are an essential part of a healthy diet providing energy; they are also carriers of essential vitamins and nutrients such as vitamins A, D, E, K, and carotenoids. Triglycerides, cholesterol, and other essential fatty acids-fats the body can't make on its own insulate us, store energy, and protect our vital organs. They help proteins do their jobs. The good fats and oils can be found mainly in fatty meats and dairy foods, as well as olive oil, coconut oil, canola oil, flax seed oil, and grape seed oil to name a few. Omega-3 fats are found in fish oil and help protect against arrhythmia. By keeping blood vessels flexible, Omega-3 fats lowers the risk for a heart attack or stroke. Protein helps build and repair tissues, make enzymes, hormones, bones, muscles, cartilage, skin, and blood. An increase in protein for seniors will help keep the body healthy, supple and strong. Red meat, fish, and poultry are excellent sources, as are eggs, cheese, and beans. Folic acid helps your body produce and maintain new cells and is believed to help prevent changes to cells that may lead to cancer. A deficiency in folate intake can lead to the development of megaloblastic anemia and macrocytosis. Vegetables and organ meats are very high in folic acid. Vitamin C has many functions; it helps increase iron absorption, aids in wound healing, and helps the body to fight infections. A glass of orange juice, 1/2 a grapefruit, or 2 mandarin oranges provide the recommended daily allowance. Low iron intakes occur in seniors who live alone and don't eat hot prepared hot meals. Red meat is an excellent source of iron, as are dark green leafy vegetables such as spinach, whole-grain, and enriched bread, beans, lentils, and baked potatoes. A senior living alone doesn't mean they need to try to do this alone. 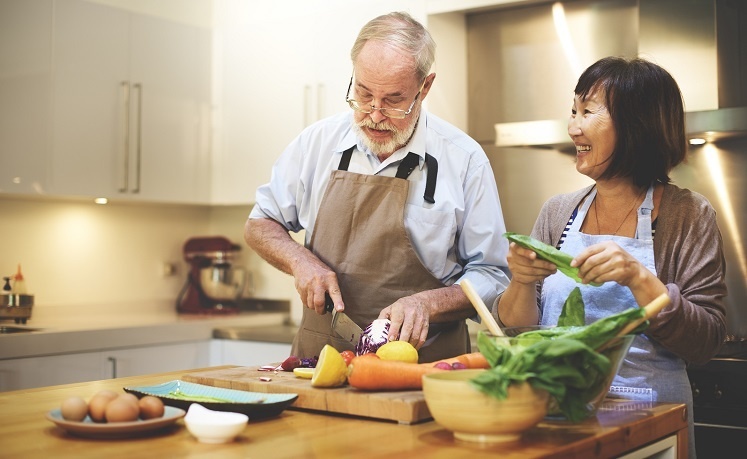 The caring professionals at Caring Senior Service can help prepare healthy, balanced meals to ensure that your loved one gets the proper nutrition and hydration as well get to their daily tai chi, dancing or swimming classes. Contact us to learn more about how we can help develop great meal plans and keep your loved one on the go.